The Impact Plus Single Series was created for a bowler who needs ample room but always wants a lighter tote bag. This bag is perfect for shoes, accessories and a bowling ball. There are many zippered compartments and this bag has a handle as well as a removable shoulder strap making this bag easy and convenient to carry. The shoe compartment is vented allowing for this bag to have proper ventilation while being stored in a locker or closet. 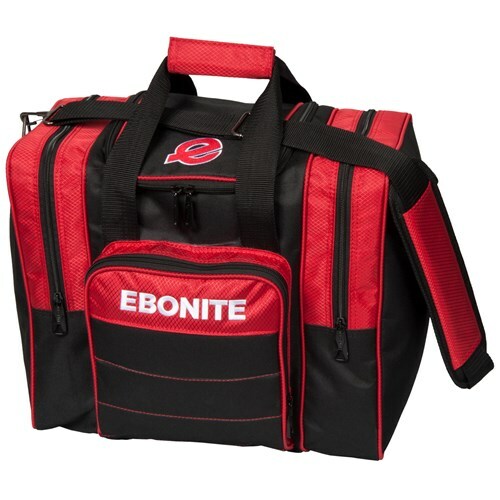 Due to the time it takes to produce the Ebonite Impact Plus Single Tote Red ball it will ship in immediately. We cannot ship this ball outside the United States.